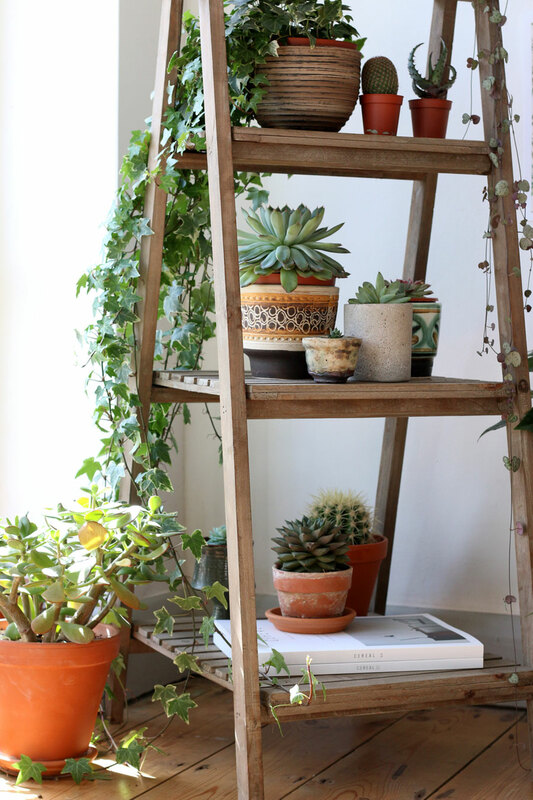 Whether you’re staging a home or just looking for a new way to decorate your home, plants have the ability to add to any room. Sometimes just putting a plant in a pot isn’t enough. 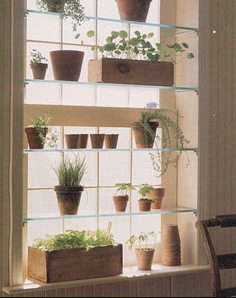 Here are seventeen different ways to decorate your home using houseplants. 1. Spilling out of open drawers of an armoire. If you have a decorative armoire to display items, having plants spilling out of the drawers can add a great accent to the room. Simply in a dresser that stores old or items you don’t use often can just allow for an extra touch. 2. Hanging from a simple wooden dowel. Getting a simple wooden rod from the craft store is an easy find. 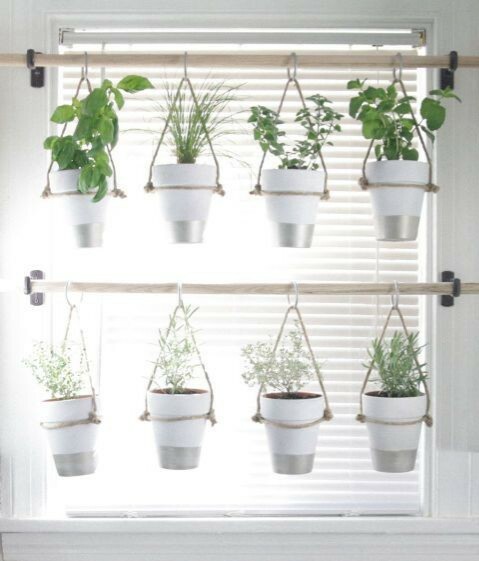 Use hanging plants you can get at any nursery and it adds a lot of greenery to a room. If you have an empty space in the wall, this is the perfect fix. 3. Arranged in and on top of a curio cabinet. Any see-through cabinet would look great decorated with plants. 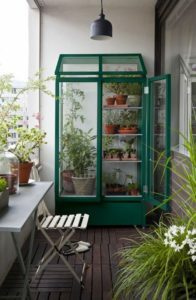 Adding them in and inside can help you solve what to do as far as decorating a room goes. 4. Tucked inside a shelving unit. If you have a shelving unit you can’t find a fix for or are keen on getting thrifted items this is a perfect decoration. It would pair well in any room of the home and could be mounted on a wall. 5. Tumbling out of shadow boxes. If you’re in need for some new wall decor, this 3D shadow box look may be a good option for new and inexpensive wall decor. 6. Growing vertically with a trellis. 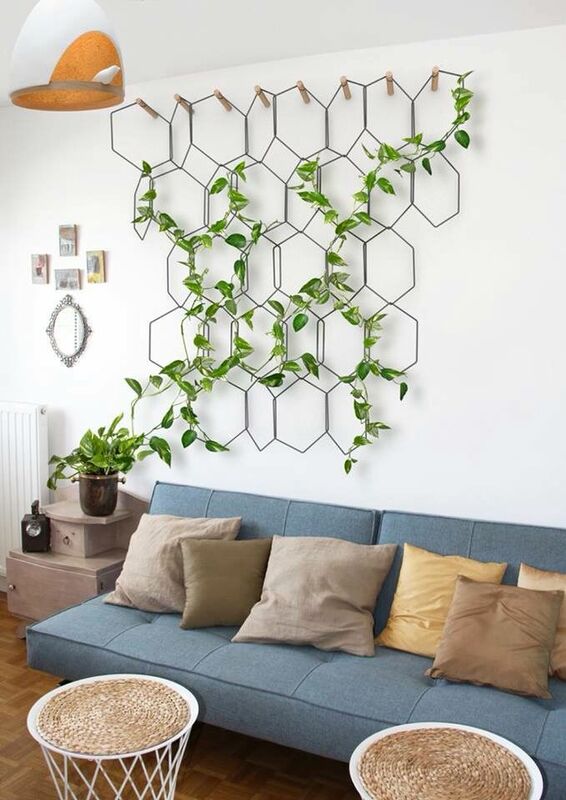 The use of a trellis is not just for outdoor use. If you’re looking to decorate an empty wall, this could be the statement piece you’re looking for. 7. Twisted around beams. 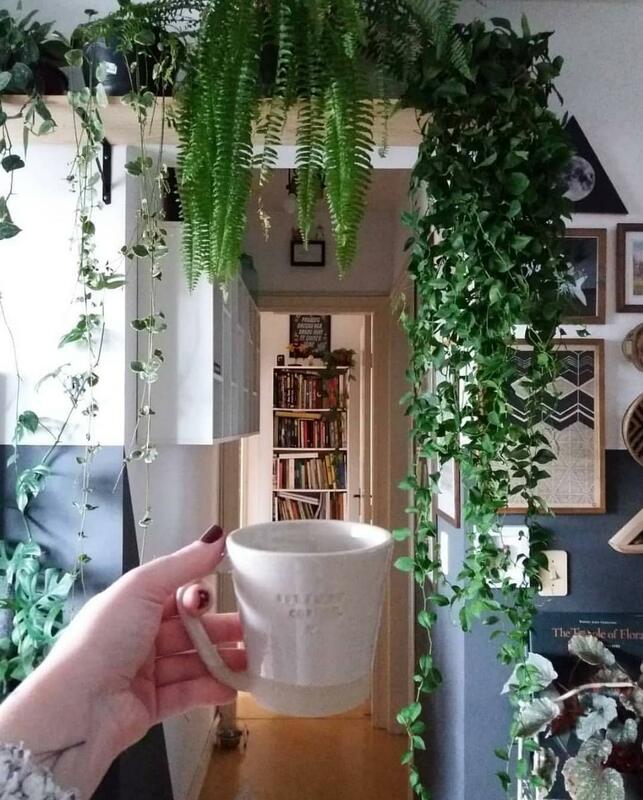 If you have a house that is older or includes architectural beams, getting a hanging plant that is able to twist around them is a good way to use what you already have within your home. 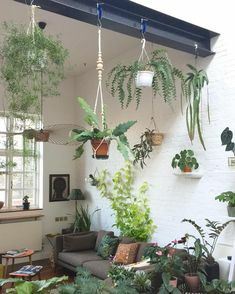 Even if you simply have steel beams, you could add hanging plants. 8. Hanging within a stairwell. 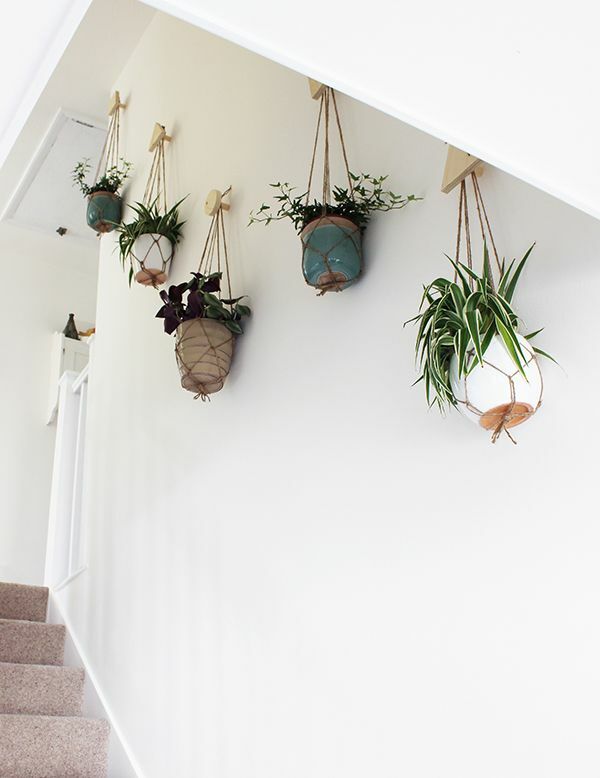 If you are looking for something to add to a stairwell, having hanging plants off of hooks would prove to be an innovative idea. 9. Poking out of an upcycled object. 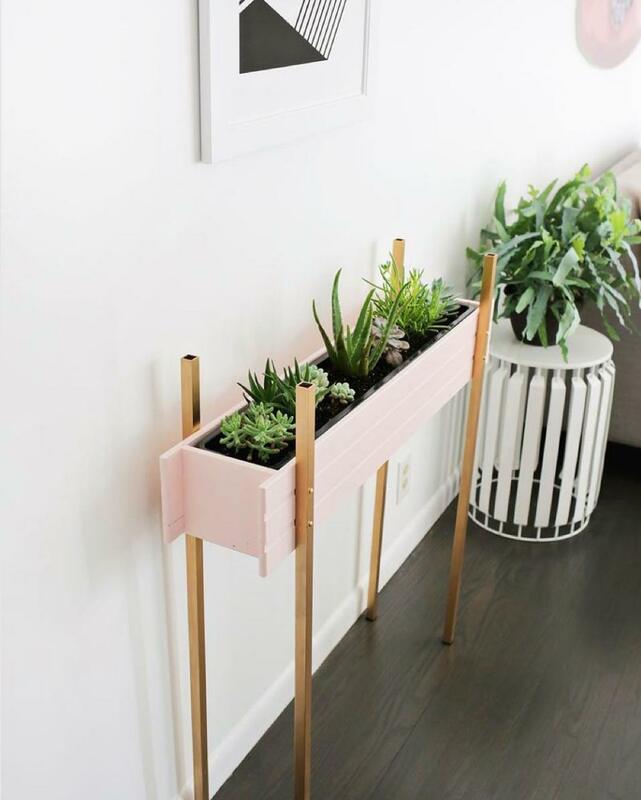 If you have some old items around the home you’re not too sure what to do with, using it as a plant holder is a fun craft and innovative idea! This can be done with almost absolutely everything. 10. Swinging from a room divider screen. If you have or happen to find an old room divider, this is a neat idea to add a piece to a room. This would be beautiful placed in a living or dining room. 11. Dangling from a ladder. Using old ladders to display items has been a trick in the interior design world for ages. 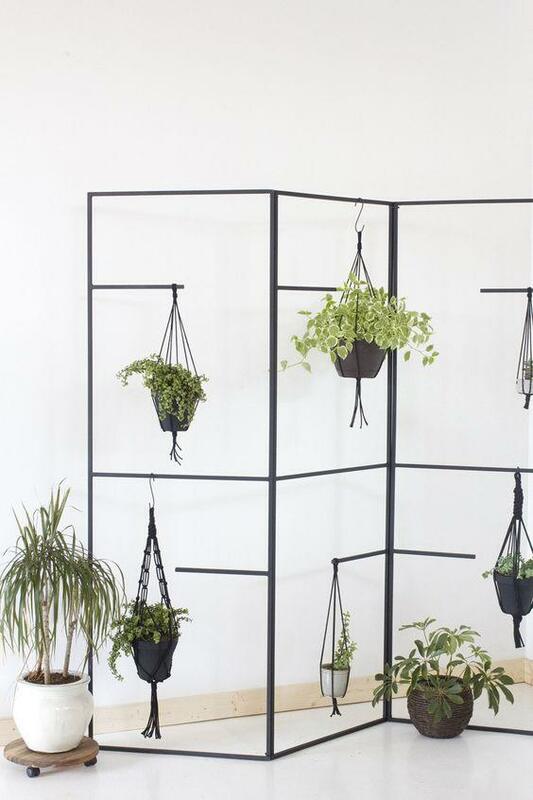 Using a ladder to display plants up against the wall, or hanging from the ceiling could be an exquiste piece. 12. Placed on a shelf above a doorway. 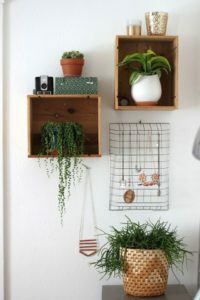 If you really wanted to make an impression, adding a shelf above a doorway and placing plants is simple, yet effective. Doing this would add drama and loudness to a room while staying inexpensive and classy. 13. On a pegboard shelf. If you’re looking for another inexpensive way to add plants to a room with limited space, this may be a good option for you. 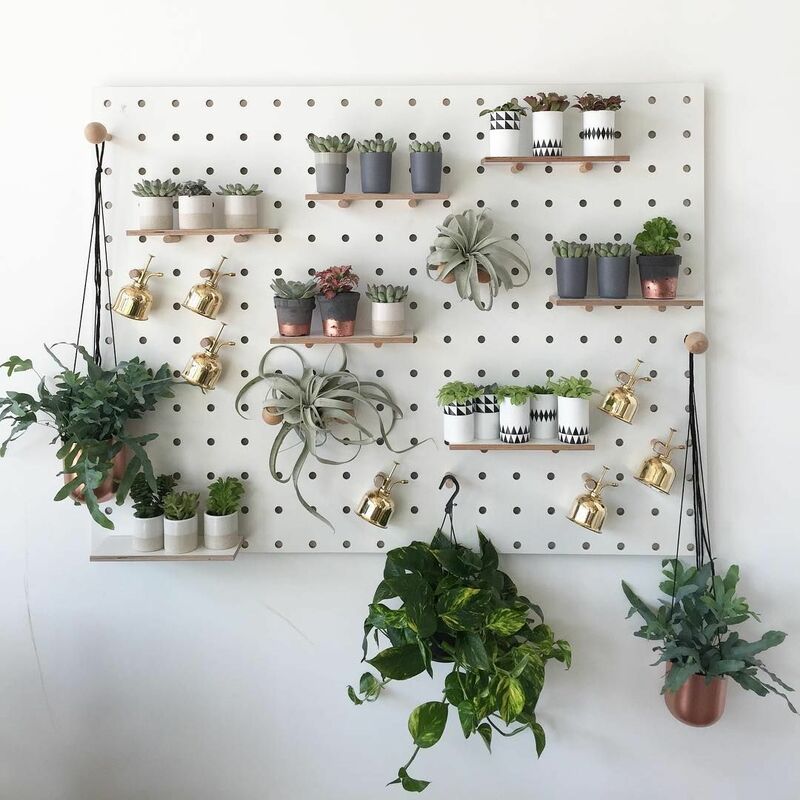 Adding plants onto a pegboard doesn’t take up too much space in the room, but remains eye-catching. 14. On shelves in front of a window. 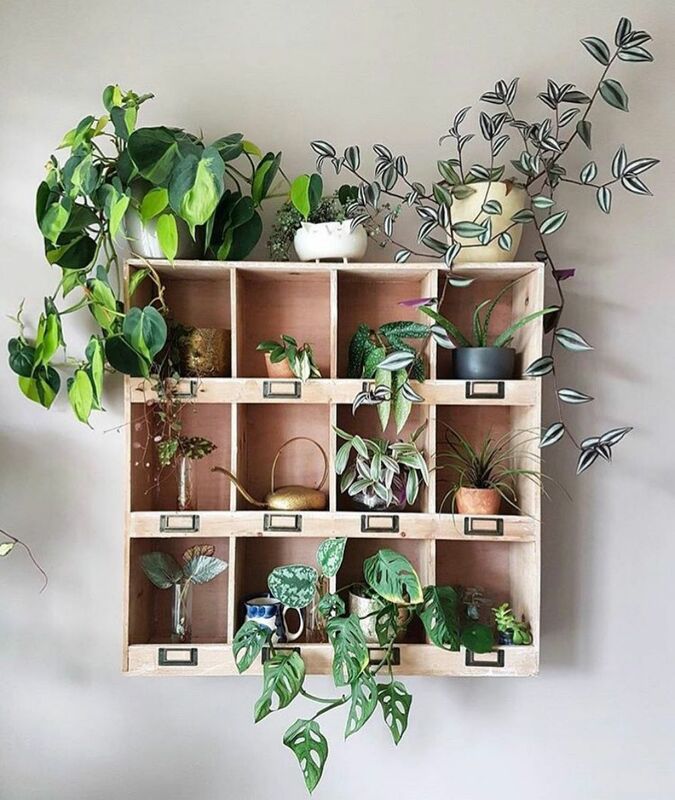 If you’re looking for an idea to cover a window, but want to bring life and light in then adding a few shelves with plants can create this for you! 15. Nestled into a box. Having a lone-standing box in a room carrying plants acts as a great furniture piece perfect for any room. 16. On a vintage rolling cart. 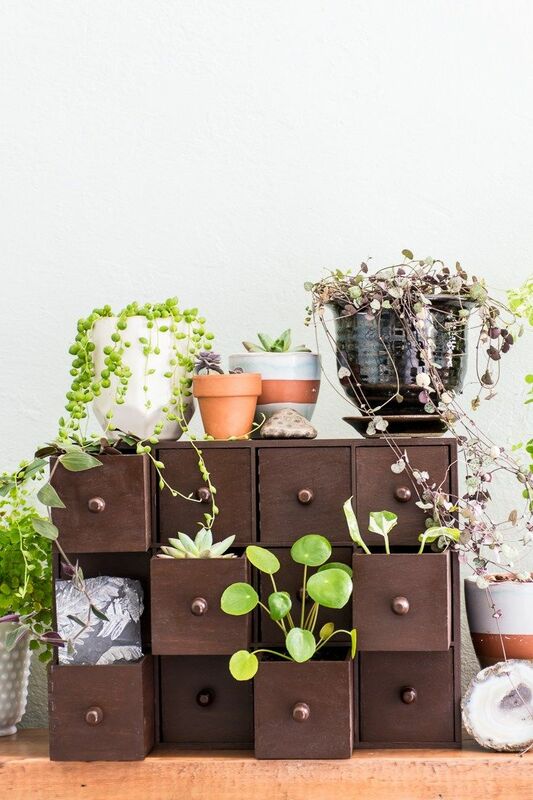 Using any upcycled object and adding plants can make a difference in any home. 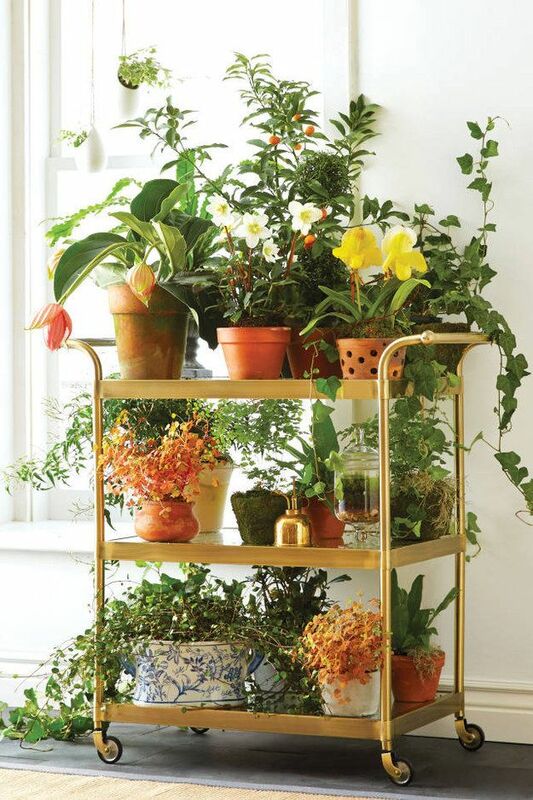 Using an old rolling cart and adding plants can recreate this look for you. 17. On benches or stools. If you have an old stool or bench with no use, change it into a decorative piece for a plant holder. Overall, using any upcycled items or creative ways to incorporate plants into a room is a great option for adding life and greenery in a fun way to your home. Use items and ideas to suit your style and have fun!